The North American Sundial Society provides a lot of information on dialing including a sundial register for both the US and Canada. Register your dial. There is an excellent links page that is categorized by topic. 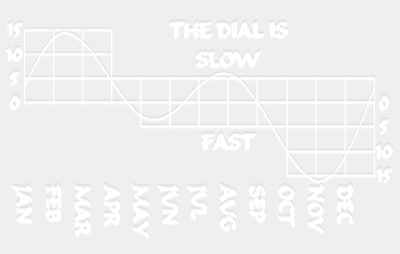 The British Sundial Society also provides information on dialing as well as having a sundial register. Sundials on the Internet sponsored by the British and North American Sundial Societies. Lots of great information. La Commission des Cadrans Solaires du Québec is the site of the sundial society for the province of Québec, Canada. It has a lot of information about sundials in that province and presents its newsletter "Le Gnomoniste" on line. Web site in French. De Zonnewijzerkring is the site of The Dutch Sundial Society. It has interesting feature pages such as "Sundial of the Month" and "Article of the Month". Zegary sloneczne w Polsce is the site for Sundials in Poland. There is a variety of dialling information available as well as catalogue of Polish sundials. Web site in Polish. Illustrating Shadows is the web site of Simon Wheaton Smith. You will find so much dialling related information here that there is no point trying to tell you here what is there. You have to go and see. Cadrans Solaires Originaux or Original Sundials is the web site of Joël Robic. This is an excellent sundial site with lots of interesting photographs and information. Web site in both French and some English. Ta-Dip is the web site of Reinhold Kriegler. It is in German and well worth a visit for the many interesting sundial and astronomy related photographs to be found there. Sundial Links is a very comprehensive list of links to sundial related pages.